In this work, we use the full potential linearized augmented plane wave (FP-LAPW + lo) method under the framework of spin polarization density functional theory (SP-DFT) to study the structural properties of diluted magnetic semiconductors alloys, Mg1−xCrxSe (x = 0.25, 0.50 and 0.75), in the rock–salt ferromagnetic phase by using the WC-Cohen GGA approximation. 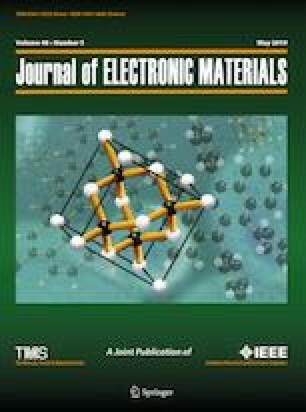 To compute the electronic and magnetic properties of our compounds, we have used the Tran Blaha modified Becke–Johnson potential (TB-mBJ) combined with PBE approximation. The results of electronic properties show that our compounds have a half-metallic behavior with a spin polarization of 100% at the Fermi level. Moreover, at all concentrations, the magnetic moment has been estimated as equal to 4.0 (μB). Furthermore, to validate the effects resulting from the exchange splitting process, we calculate the values of the spin-exchange constants N0α and N0β, respectively. Finally, we present in detail the effects of the temperature and the pressure on some macroscopic thermodynamic parameters by using the quasi-harmonic Debye model. One of the authors (Zeyneb BORDJIBA) acknowledges useful discussions with Dr. BENTAYEB Kader from Taher Moulay—Saida University (ALGERIA) and Dr. BELGHIT Rafik from Badji Mokhtar—Annaba University (ALGERIA).